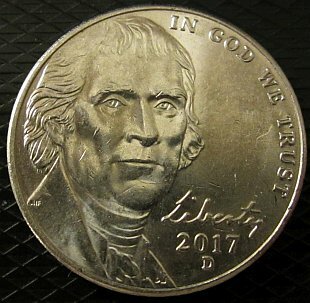 So, what's with the standard issue 2017 nickel? I've been through dozens and dozens of bank rolls and have not found ANY of them. I've even found nickels from the 1940's and 1950's. Sure, I've found lots of 2017-150 nickels and according to Coins and Canada there's over 106 million of the 2017 minted, even though they don't show an image of one. Are there any out there? None were issued for circulation. Only available in Uncirculated sets. Thanks for the quick response, does that mean that there's 106 million of them in uncirculated sets? No,106 million of them weren't struck, that's an error. PS they were also issued in special mint wrapped rolls for collectors. I got this recently, either in change or CRH. I thought they minted over a billion of these in 2017, about half D and half P, with a tiny special S minting. Pauldog, the original post is asking about the Canadian classic design 2017 nickels. According to the RCM's 2017 Annual report they minted 106,680,000 regular Nickels in 2017 and 20,000,000 of the Anniversary design. Are you saying that all the regular Nickels minted in 2017 have another date (2016 perhaps)? No, Jefferson was born in Shadwell, Colony of Virginia. Young was born in Toronto. 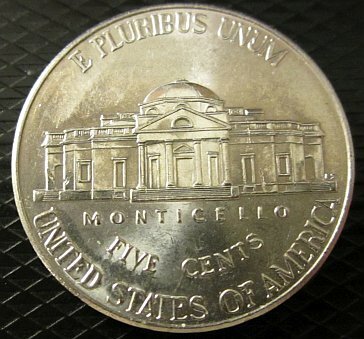 The "regular" (circulated) nickels for 2017 were the 150th Anniversary Commemorative ones. Same deal for all denominations. The traditional beaver we think of as regular, is the hard to find one. Not issued for circulation, you likely won't see it in circulation. Found in the year sets and some specialty rolls. I think the number minted is in error. There are probably more of the commemorative one than the traditional one. The regular 2017 design was not circulated. It can be found in uncirculated sets and special-wrapped mint rolls sold by the RCM at a premium. There were 20 million commemorative design nickels minted for 2017. Many of the 106 million minted in 2017 were most likely dated 2018. Thanks to everyone, such an informative forum!